A Queensland mother is alive today due to the courage and lightning response of her three year old son. Charli Dawson, 22, was enjoying a picnic with her son Tyler on the banks of Lake Kulurumba in the Cape York peninsula when the 14 foot creature pounced without warning and dragged her back into the water. Rather than panicking, Tyler immediately ran into the waist deep lake and, according to eye witnesses, plunged his Star Wars light sabre down through the beast’s head, allowing Charli to struggle free from its grip. Charli Dawson was treated for cuts and grazes at Gizzard Falls Memorial Hospital and was released the following day. Local wildlife rangers removed the light sabre – a ‘Terminator 2000’ model, now classed as an offensive weapon and banned in Australia – and expect the creature to make a full recovery. After further research our investigators have come up with another exclusive interview with One Armed Pete the Australian crocodile hunter. 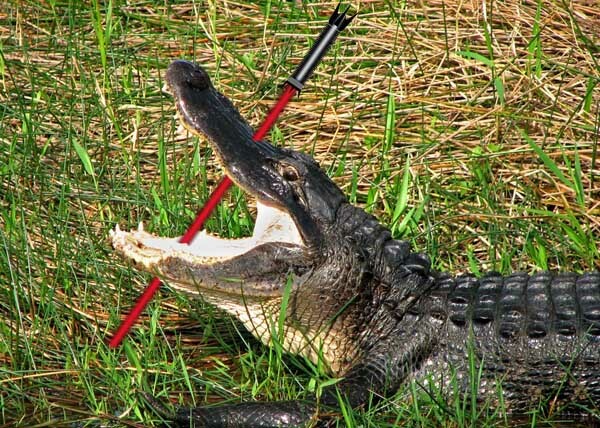 “Hoppy” as he is known to his friends after an industrial work related injury told them that the “Terminator 2000″ Star Wars light saver has been used with some success for years in the crocodile hunting world. However he also revealed that there was absolutely no truth in the rumour that the 2000 had been unsuccessfully trialed on sting rays. ” Any idiot should know that they don’t work under salt water ” he smirked!